The ferry Prevelis suffered water ingress in Gulf of Saronikos off Saint George island, Greece. The vessel was en route from Piraeus to Milos with 127 passengers on board, but shortly after leaving was estimated that there is uncontrolled increasing of draft in starboard after some ballast tanks flooded. The crew returned to Port of Piraeus, where the water ingress was put under control and all the passengers were disembarked. There were no reported injuries or damages, but ferry Prevelis was taken out of service until further repairs. The local authorities ordered special inspection and safety survey of the ferry before release to resume the voyage. The investigation for the root cause of the accident is under way. According to preliminary information, the ship did not suffered breaches, but ballast control system failed and flooded some ballast tanks, which cause the increase of the draft. The problem was quickly fixed and the ship returned in service after inspection. Fortunately during the incident there were no injured people and reported water pollution. 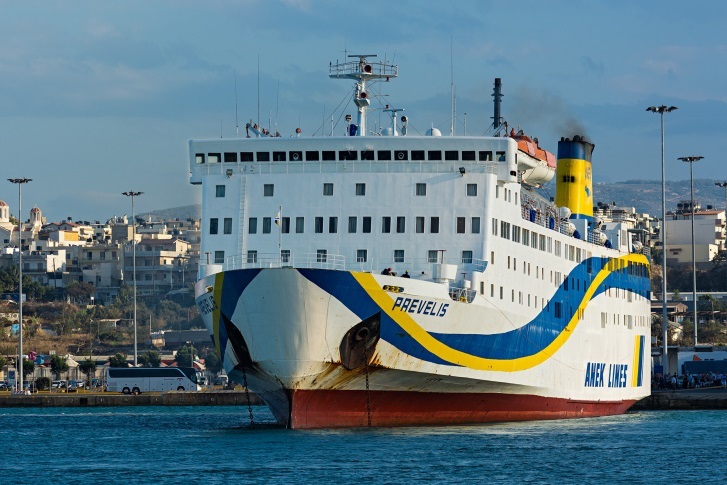 The ferry Prevelis (IMO: 8020927) has overall length of 143.00 m, moulded beam of 23.00 m and maximum draft of 5.50 m. The deadweight of the ship is 3,300 DWT and the gross tonnage is 9,851 GRT. The ferry was built in 1980 by Imabari Shipbuilding in Japan and operated by Greek company Anek Lines.